In the future, in a world baked dry by the harsh sun, there are those who live inside the walled Enclave and those, like sixteen-year-old Gaia Stone, who live outside. Following in her mother’s footsteps Gaia has become a midwife, delivering babies in the world outside the wall and handing a quota over to be "advanced" into the privileged society of the Enclave. Gaia has always believed this is her duty, until the night her mother and father are arrested by the very people they so loyally serve. Now Gaia is forced to question everything she has been taught, but her choice is simple: enter the world of the Enclave to rescue her parents, or die trying. A stunning adventure brought to life by a memorable heroine, this dystopian debut will have readers racing all the way to the dramatic finish. 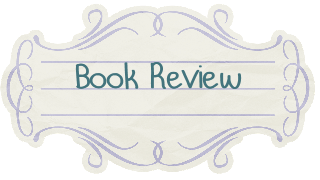 My Review: I read Birthmarked some time ago but waited to do my review because I wanted to read the next books in the series before hand. I really have trouble finding the words to describe my feeling for this book. Why? Well because I find it hard to tell other of it's sheer perfection. I know that some of my book friends have told me how amazing the book truly is but I have also heard other say they did not care for it so I was somewhat apprehensive to try it but WOW. I am super glad I did. I have read a number of Dystopian novel in the past couple year but Birthmarked is by far the most unique and inspiring one. There was never a dull moment; such a total page-turner to the very end. 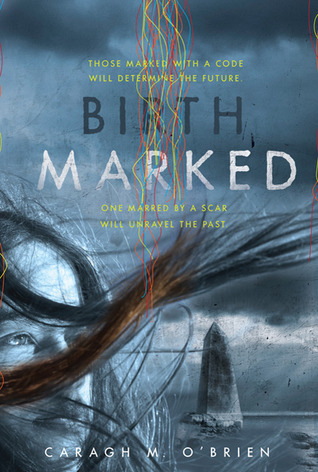 Birthmark takes place in the distant future where the world as we know it is quite different from our own. The population is slowing dying in this post apocalyptic setting. Gaia and her parents live among outer wall of the city of Enclave. Both Gaia and her Mother are midwifes. Gaia mother has taught her everything she knows. Including the harsh protocol in which they must give the three newborn babies each month of the woman outside the wall to the families which dwell inside Enclave. Gaia and her family must do this to survive life on the outside, until one day her parents are taken and put under arrest in Enclave. Now Gaia must find away inside to rescue her parents and fight to understand what strange events that are taking place in Enclave. Her world will soon be turned upside down with the knowledge she finds and will question everything she knew to be right and safe. As the story progresses she will not only come to find everything she once new is wrong but also finds true love on this unexpected journey for the truth. I just adored everything bit of Birthmarked. The world building was amazing, the character's are so real and beautiful. The story itself was wow, just WOW! I mean I must have cried at least 5 times while reading it. Gaia is a strong heroin with such passion and she really makes the book come alive. I so totally feel head or heels in love with Leon (he is Gaia's love interest in the book). I just could have not asked for a more perfect story. The ending was sublime and I was thinking about Birthmarked days after I read it. Caradh M. O'Brien is a most brilliant writer and she really knows how to take the reader and make the fall in love with with her story. To anyone who has been debating on reading this book and the series. I would so yes please do so. I can not stress this enough, go now and borrow or buy Birthmarked. You will be glad you did.